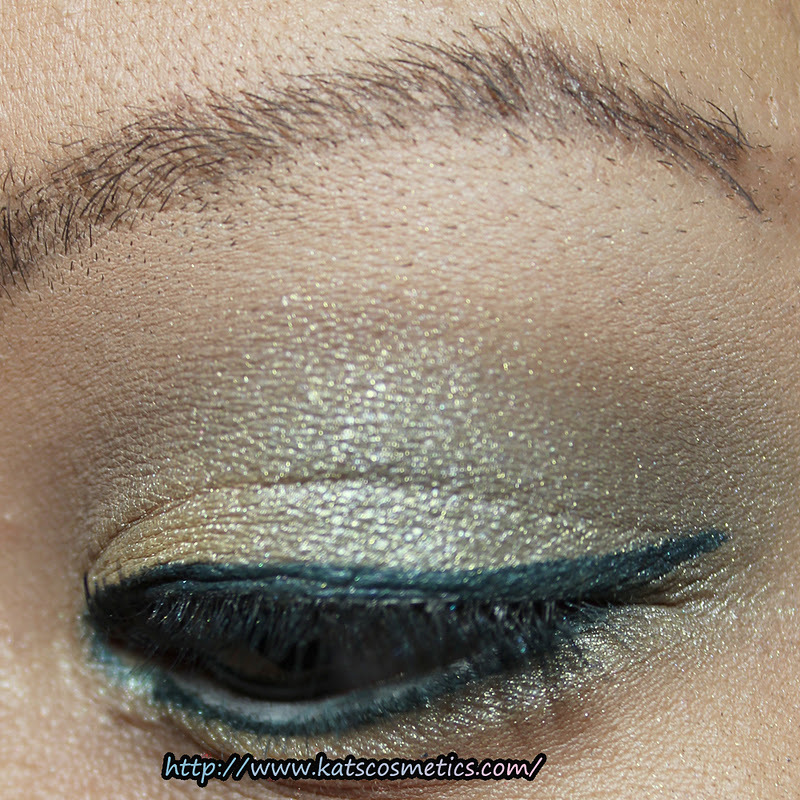 Quick EOTD with the Sonia Kashuk Paris At Night (Review). I mixed with the two silver color and applied all over the lids. I used the matte color to cut/fade the crease and eyeliner color. I applied Bobbi Brown Gel liner to line my upper and lower lashline, then I used the NYX pencil in Milk on my lowder waterline. For lashes, I used E.L.F Natural Looking Lush Lashes. Here is another looks for L'oreal HIP Studio Secrets Professional Metallic Shadow 310 Shocked(Review). 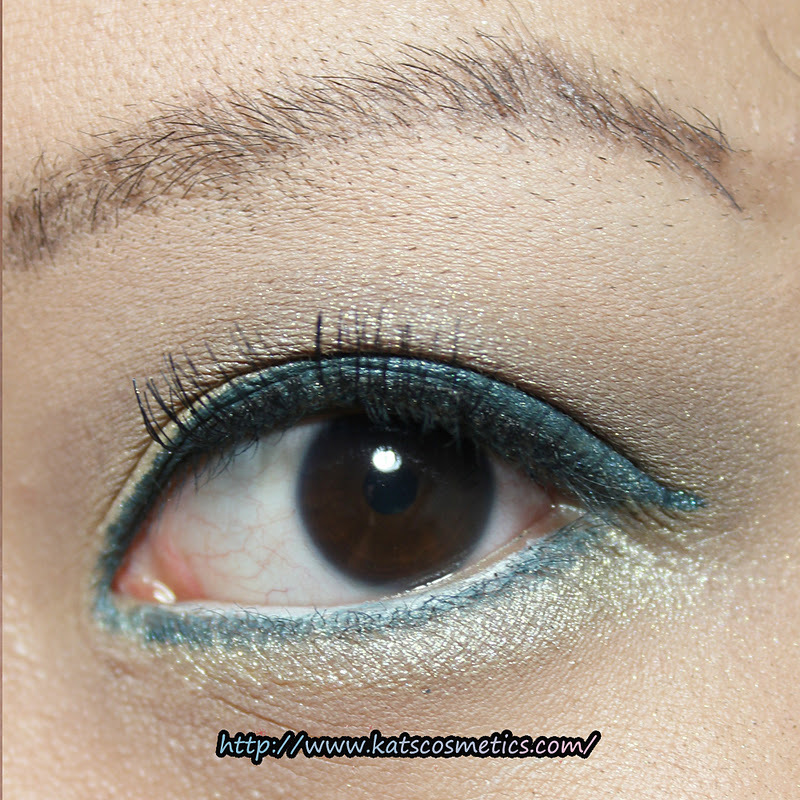 I used the yellow color on the inner half(and the lower lashline), and the green color for outer half. I used MAC Fluidline Midnight Blues(Review) to line my lowder waterline and wing out for a more dramatic look.